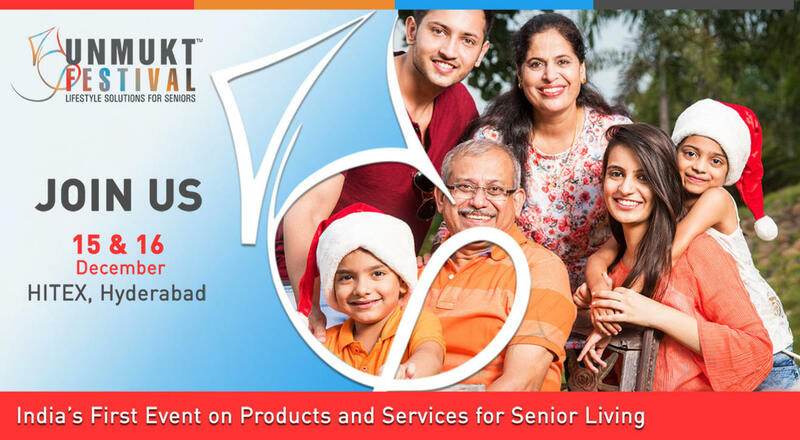 The two-day ‘Unmukt Festival,’ India’s first and the biggest lifestyle solutions show for senior citizens, will be held at Hitex on December 15 and 16 from 10:30am onwards. Unmukt Festival is specially designed to meet the needs of seniors and those planning for their retirement years. The launch event in Hyderabad in December 2018 will be the first in a calendar of shows across India for those individuals who desire to find and choose options that will ensure a lifetime of health, happiness and freedom.